The image is of a tabulate coral Cladochonus beecheri? 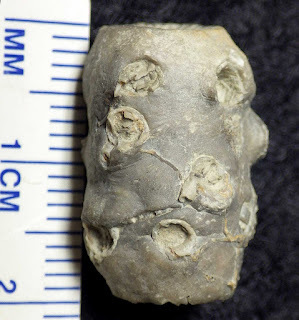 that grew on a crinoid column. The crinoid responded by growing over the coral leaving just the corallite openings. 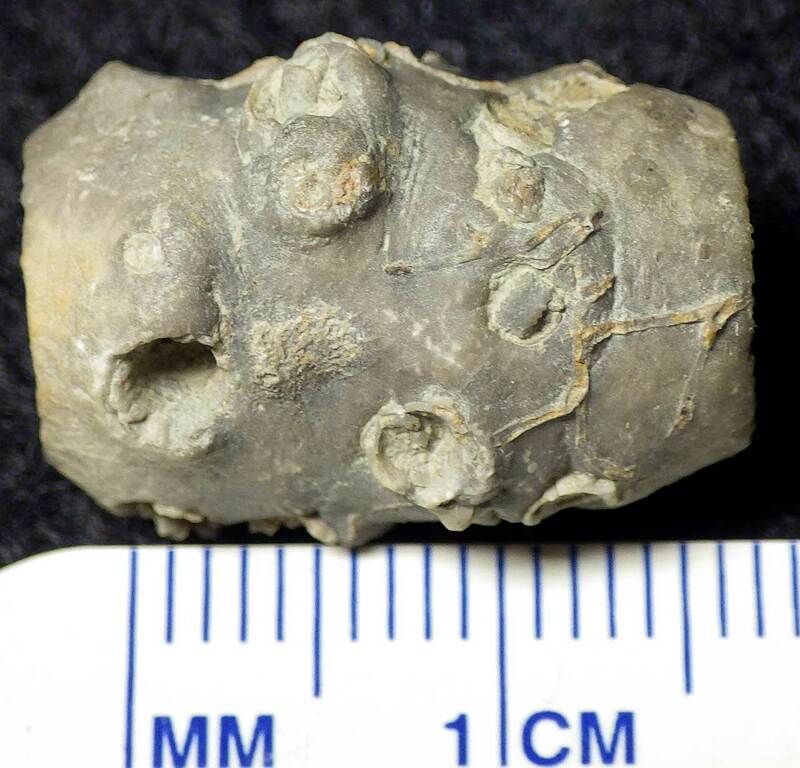 Some of the images show a root like structure that might be a crinoid holdfast or some sort of bryozoan. 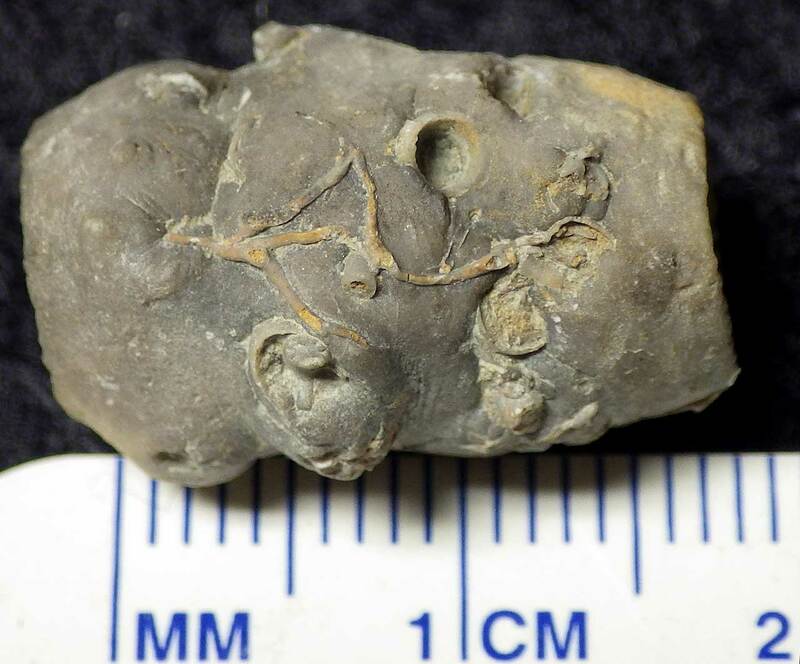 Fossil found in the New Providence formation in Clark County, Indiana, USA. These creatures existed in the Mississippian Period. 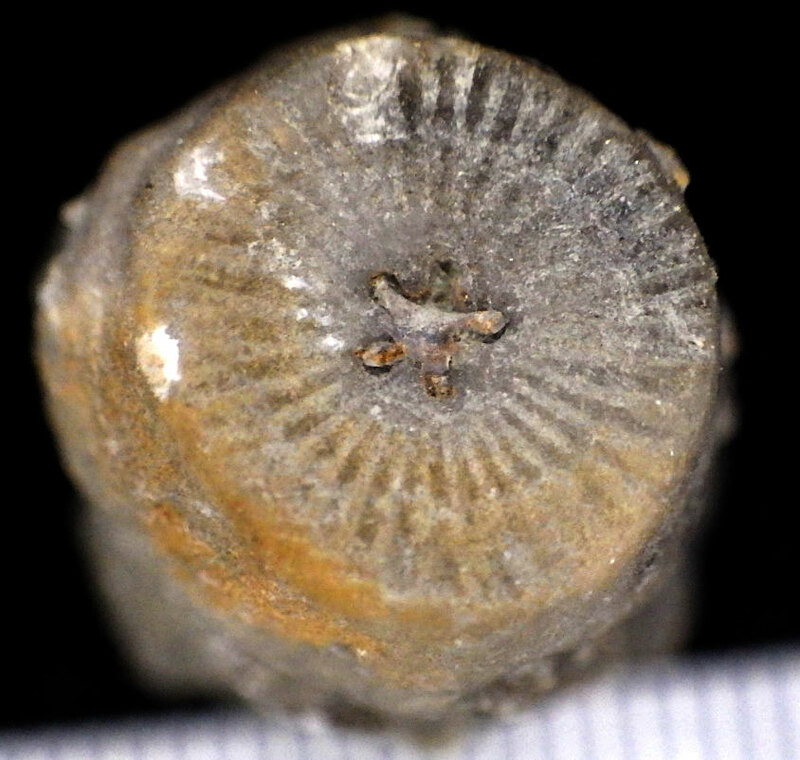 Thanks to Kenny for the images and Bill for the identification.